Inspired by the olive trees of Tuscany, this elegant three tier wedding cake was created for a luxurious destination wedding at the St. Regis Florence. Set with a theme of black, white and gold the cake was created with a dark chocolate sponge and mousse. 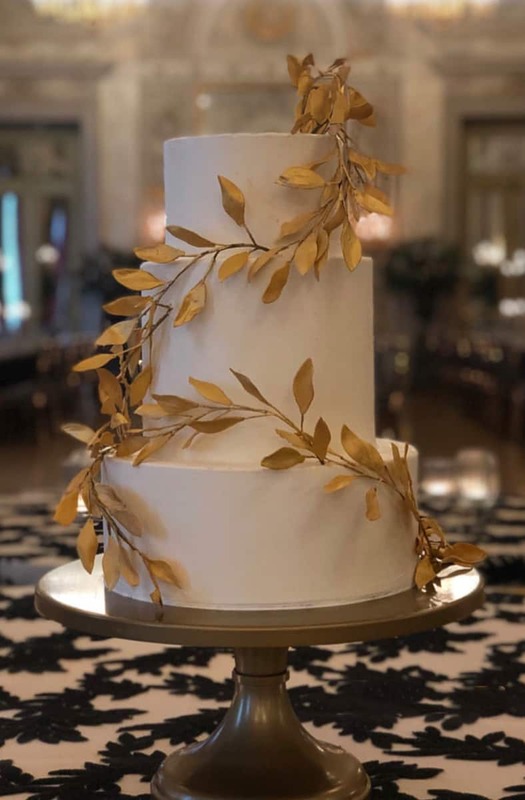 The outside was decorated with a rich vanilla buttercream and embellished with handcrafted gold sugar branches that wove their way around the decadent cake tiers. This gorgeous wedding was organized by Kaleb Norman James Design and held in the ballroom of the St. Regis overlooking Florence's Arno River. 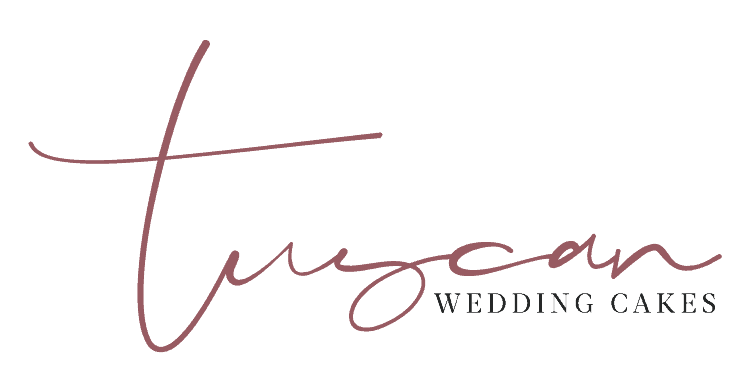 Tuscan Wedding Cakes, Italy's premiere wedding cake designer, creates spectacular and delicious cakes for destination weddings in Florence, Tuscany, Siena, and throughout Italy.